With over 80 awards under our belt we're experts in our field; we really know our stuff and no-one offers a more personal service. Between us we've travelled the globe and with brains crammed full of expert destination and resort knowledge, our Personal Travel Advisors remain at the forefront of the industry, leading the way. We're not the boring, suit-wearing Travel Agents from days of old... we're agents with a personality. We work hard, love a good laugh and relish being that little bit different. We're extremely proud of (and a little bit smug about) our collection of prestigious awards, including Travel Company of the Year 2011, Highly Commended Travel Team of the Year & Best Website. But these awards aren't just there to sit on our shelves looking pretty; they're there to reassure you that you're booking with the best. It's all well and good us telling you we're awesome, but when our happy clients tell us we are every single day, you know it's true. Want to know how many steps it is to the beach? The best places to eat? The best dive spots? That's the sort of stuff that fills our heads. We've actually visited the hotels that we feature; no, really. Between us we've explored over 60 different countries; we never feature a destination without checking it out and we're always the first to dash out to visit a new hotel. Think of us as your Personal Shoppers; tell us what you're after and we'll find it. Financial Bonding: Blue Bay Travel Ltd are members of The Midcounties Co-Operative, which means your hard-earned cash is protected by The Midcounties Co-Operative Consumer Protection Guarantee. what's the Consumer Protection Guarantee? We only work with ATOL protected suppliers to make sure that what you buy is financially protected. All the flights and flight-inclusive holidays on our websites are financially protected by the ATOL scheme. When you pay you will be supplied with an ATOL Certificate. Please ask for it and check to ensure that everything you booked (flights, hotels and other services) is listed on it. Please see our booking conditions for further information or for more information about financial protection and the ATOL Certificate go to:www.atol.org.uk/ATOLcertificate. Book with confidence. We are a Member of ABTA which means you have the benefit of ABTA's assistance and Code of Conduct. All the package and Flight-Plus holidays we sell are covered by a scheme protecting your money if the supplier fails. Other services such as hotels or flights on their own may not be protected and you should ask what protction is available. ATOL exists to protect the public from losing money or being stranded abroad because of the failure of air travel companies. ATOL was first introduced in 1972 and it gives comprehensive consumer protection to 28 million people in the UK who buy flights or air holidays each year. What is the benefit of ATOL protection? "ATOL" is a protection scheme for flights and air holidays, managed by the Civil Aviation Authority (CAA). The vast majority of companies who sell air travel in the UK are required by law to hold a licence called an "ATOL". ATOL protects you from losing money or being stranded abroad when a tour operator goes out of business. All licensed firms have to lodge bonds with the CAA so that if they go out of business, the CAA can give refunds to people who can't travel and arrange for people abroad to finish their holidays and fly home. ATOL protection is included in the price of a holiday booked with an ATOL holder, and there's a Government-backed fund called the Air Travel Trust that steps in if any ATOL bond isn't enough to look after everyone affected by a failure. Financial Bonding: Blue Bay Travel Ltd are members of The Midcounties Co-operative. As members of The Midcounties Co-operative, all customer payments are covered by The Midcounties Co-operative Ltd Consumer Protection Guarantee. 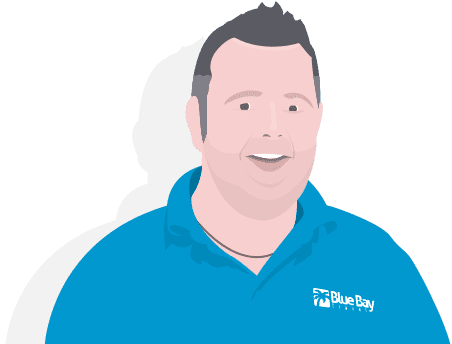 This means that in the unlikely event of Blue Bay Travel Ltd insolvency, both the consumer and our suppliers are protected by the use of a Client Account where money is held on behalf of the customer and supplier. Similarly, should The Midcounties Co-operative Ltd fail, the consumer's money remains within the Client Account and again, both the customer and supplier remain protected. Funds in this account are not available to the liquidator, so when you book with Blue Bay Travel Ltd, you have complete peace of mind that your money is protected! To find out more about The Midcounties Co-operative visit www.midcounties.coop. No Booking Fees are added to the Price of your Holiday.There are no Hidden Extras. Your Personal Travel Advisor will advise Final Payment Details at the time of Booking. Payment via Debit Card carries no additional charges. Payment via Credit Card carries additional charges. There will be a transaction fee of 2.95% for all purchases made using a credit card & 3.5% for all purchases using a AMEX card.